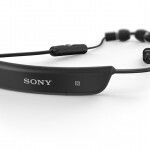 Sony has provided DUALSHOCK3 Wireless controller support in many Xperia smartphones so that you can connect your PS remote controller with your Xperia device and play your games in a more comfortable way. For those Xperia smartphones who don’t have that support and users who can’t afford PS remote controller, for all those users another wireless Bluetooth controller will server the purpose. You must have heard of famous “MOGA” game controller for android devices, today we will be reviewing exactly same kind of wireless Bluetooth controller from “ipega”. 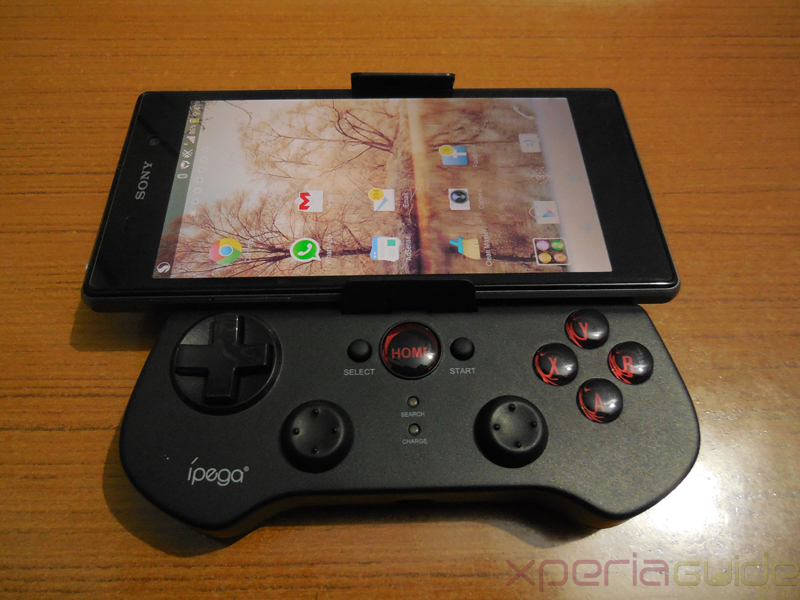 ipega wireless Bluetooth controller supports both android and apple devices. 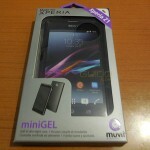 It is priced at £29.95/$49.99/36.99€ inclusive of VAT at MobileFun. 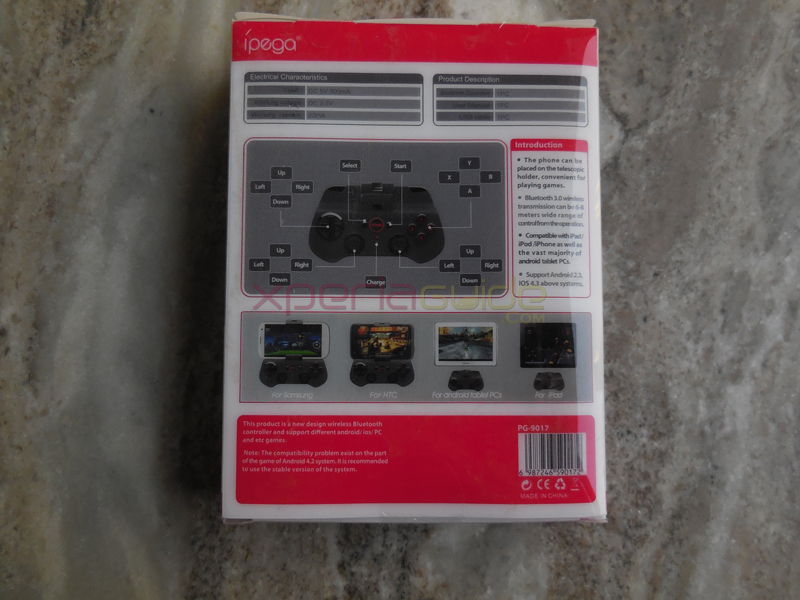 ipega wireless Bluetooth controller comes in a very good box with description and compatibility of the controller written on its front side. 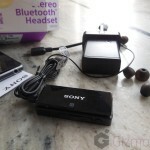 Inside the box there is 1 controller and 1 USB cable to charge it and an user manual. 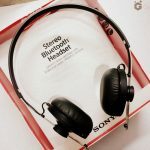 Range – Can be controlled with in 6-8 m.
It can support at maximum 5.5 inch phone, so it will go well with Xperia Z1, Xperia Z, Xperia ZL, Xperia ZR, Xperia Z1 Compact, Xperia Z1s, Xperia L, Xperia SP, Xperia C and other Xperia 2012 and Xperia 2013 models. 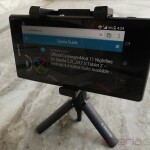 Android Required – Works well with android 2.3+ versions. It supports a lot variety of simulator and racing games like FC Simulator, SFC Simulator, Shadowgun, Sonic, 9 Innings 2013, Angry Birds, Temple Run, Fruit Ninja. You can also play games which support virtual keyboard like Gunman Clive, Helium Boy etc. 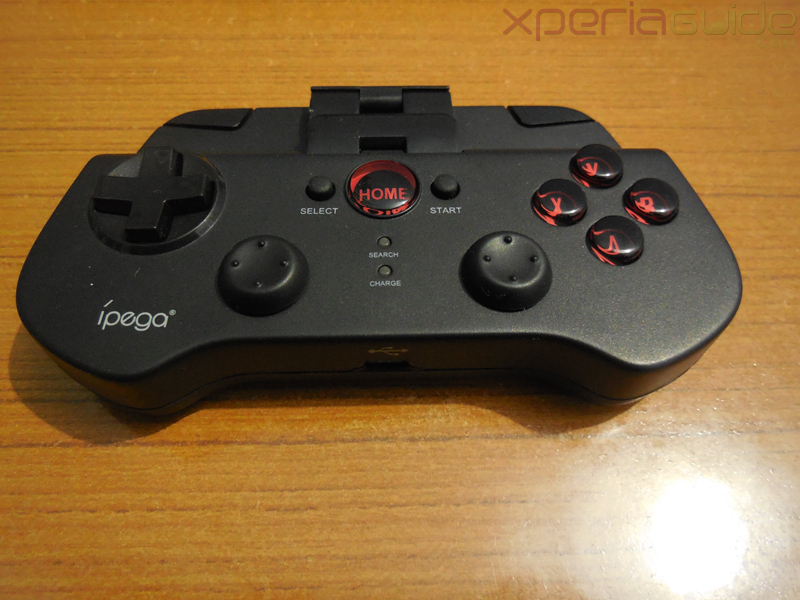 There are two lights on the ipega wireless Bluetooth controller, top one blinks when the ipega wireless Bluetooth controller is paired with Bluetooth with another device and lower one blinks when you charge it with the USB cable. To enter in joystick mode, press “X” button continuously then “home” button till you see Bluetooth red LED lights blinking. Now just pair it with your device. To enter in joystick mode, press “A” button continuously then “home” button till you see Bluetooth red LED lights blinking. Now just pair it with your device. To enter in joystick mode, press “B” button continuously then “home” button till you see Bluetooth red LED lights blinking. Now just pair it with your device. Connect USB cable at its bottom to charge it as in one full charge it lasts for 5-8 hours. You can use it in iCade mode ( for iOS users only ), mouse mode, keyboard mode and joystick mode. How to adjust phone on it ? Slide the extensive holder upwards and then gently put your phone inside. 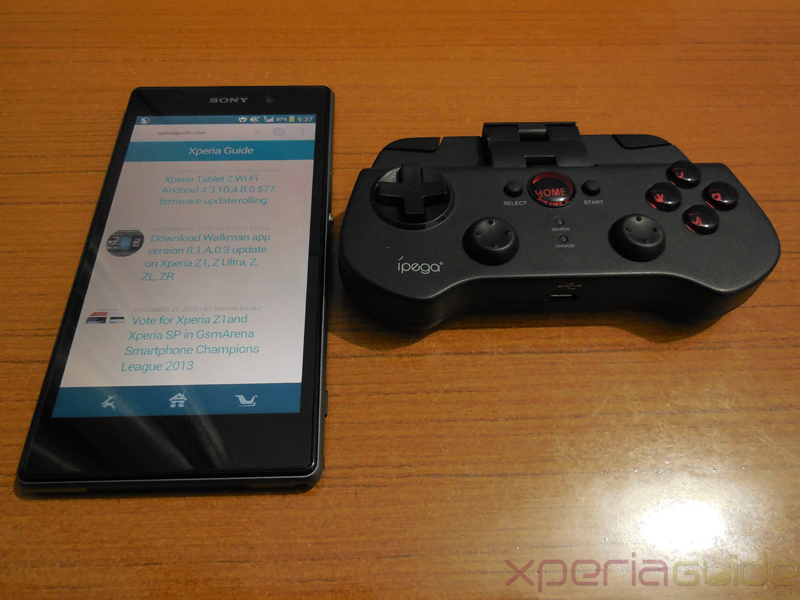 We tested it with our Xperia Z1 and it goes very well in it 🙂 Don’t try putting Xperia Z Ultra inside it rather out Xperia Z Ultra on dock and then pair it with the ipega wireless Bluetooth controller and then use it in different modes. 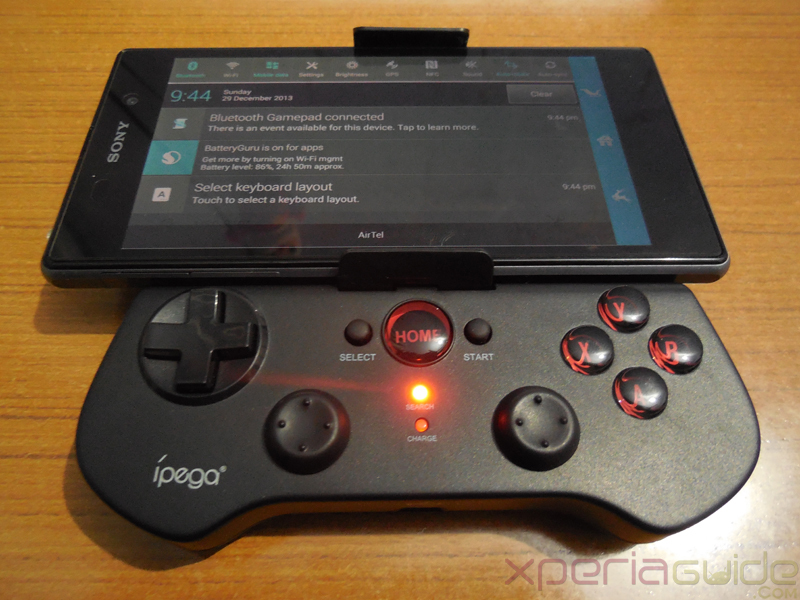 How to pair your device with ipega wireless Bluetooth controller ? 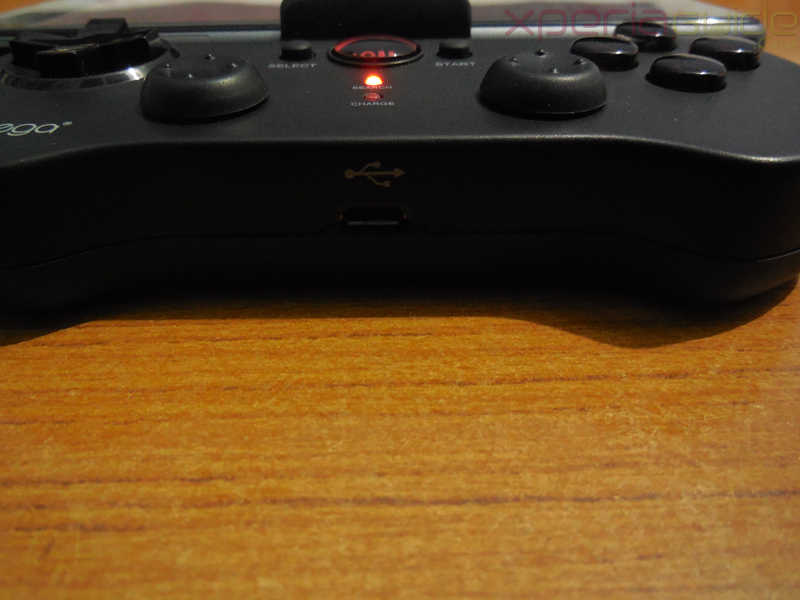 Press “Home” button on the ipega wireless Bluetooth controller and wait till you see red LED lighted on then switch on the Bluetooth on your Xperia device, make it discoverable and it will be paired automatically and if it doesn’t then ipega wireless Bluetooth controller’s Bluetooth will be switch off automatically, once paired it red LED will glow continuously. We also tested it pairing with our PC and it also goes well. It works well with most of the games but do read the manual which comes with as it will clarify your all doubts on how to use it in different modes in different games. Wide range of device supported. 4 different modes in a controller. Huge list of supported games. A bit typical to use for the first time users. Short ranged, should have been atleast 1om. Build plastic quality not so great. 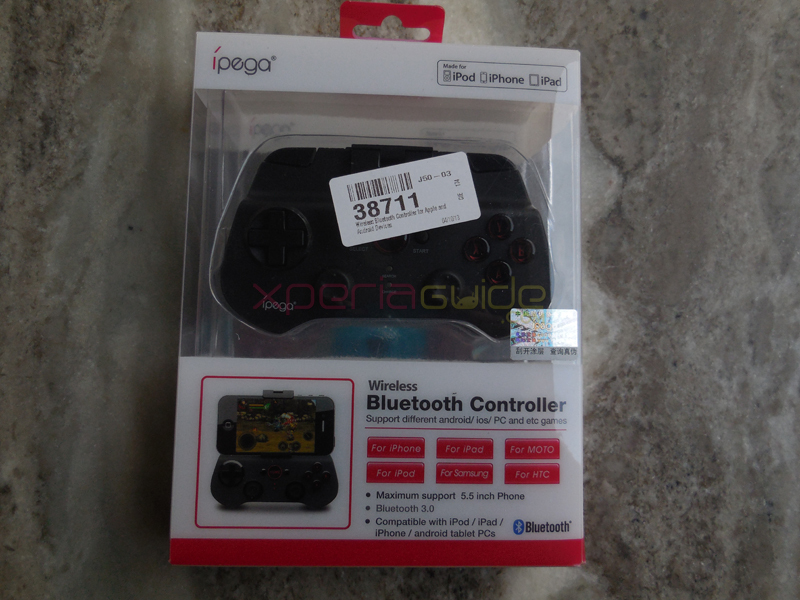 If you have used this ipega wireless Bluetooth controller, do let us know do you like or you are using any other controller within same price range. Drop your comments regarding this. so i can’t use the gamepad with my z ultra? 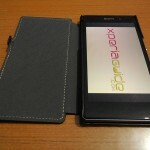 I think so…as max size of phone is 5.5″ that can be fitted in this case. 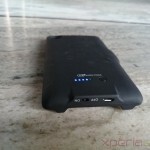 I don’t know about Moga Pro cases. 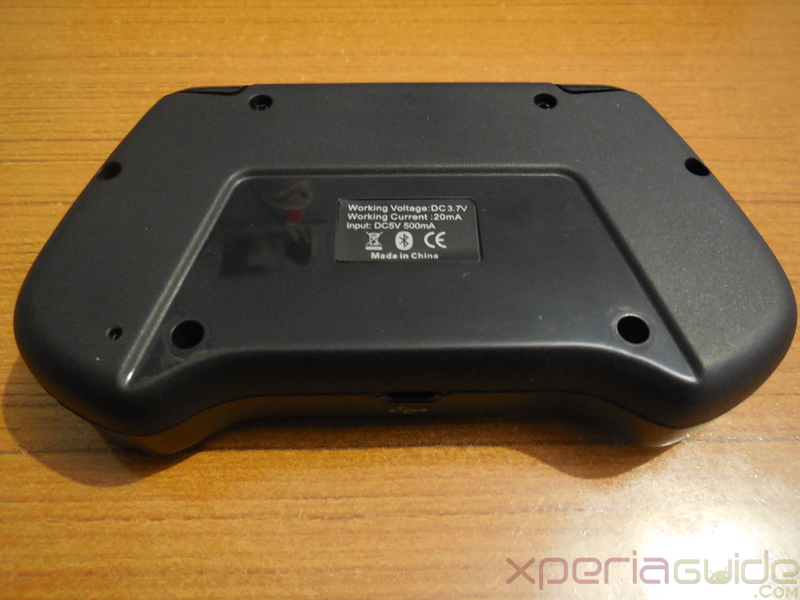 Is this controller working on Xperia Z2 as well? 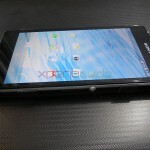 does my Xperia requires root access to support ipege,……plzzzzz reply for if not how to connect to Xperia c…..
No root needed. 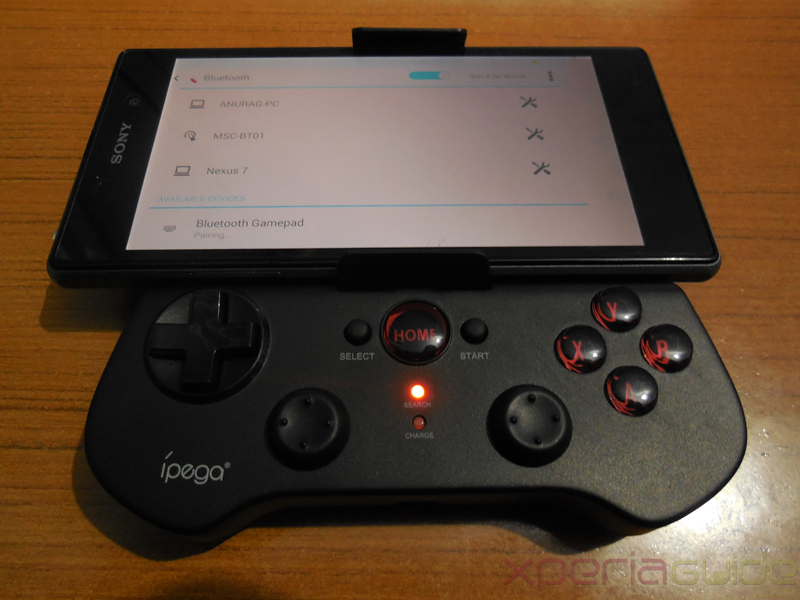 Just open your Bluetooth settings, pair your iPega controller with your device. IT must be showing in available devices under Bluetooth settings in XC. Do Open Bluetooth of controller. 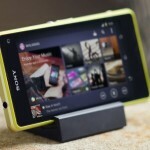 Does it works on my sony xperia c? does it support xperia m4 aqua.. plzzz rply fast cause i am gonna bye the phone next week.. if it doesn’t support i hve see other phones..